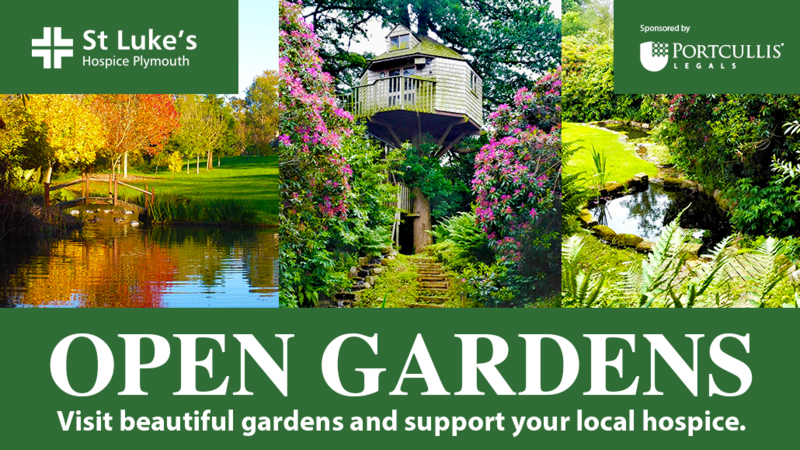 Five acres of fascinating and historic peaceful gardens opening exclusively for St Luke’s again. Waterfalls and a lake feature in the grounds surrounding the 13th-century manor and beautifully restored chapel. With hidden formal and informal areas, this garden is a true delight to explore. Fardel Manor, Cornwood, Devon PL21 9HT. About 2 miles north of Ivybridge on the road to Cornwood, just before the railway bridge turn left into Fardel Manor. Orange Open Garden arrows will be in place.